Here at Petter Karlsson Sleddogs we’re very proud to breed and train some of the world’s very best Alaskan Huskies. In 2019 Petter will once again be concentrating his energy on Europe’s toughest challenge, Norway’s 1200 km Finnmarksløpet. After last year’s victory he feels more determined than ever to show his incredible dogs at their best. Both the A and B teams will run Femundløpet 2019, where Petter will see who has the right stuff for the year’s biggest race. Watch NRK daily Finnmarkslöpet coverage. Finnmarkslopet is a 1200 km race through Norway’s beautiful and rugged Finnmark region. 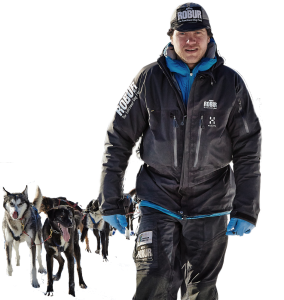 For the 2019 race season Petter will be working toward a third Finnmarksløpet victory, and preparing himself and his dogs to take on The Iditarod in 2020. In February Petter will take his team to Femundløpet in Røros, where he can see for real which dogs have what it takes to come with him to Finnmark. The kennel will also have a B team in the 600 km class – at least two of the B team dogs will go with Petter to Finnmarksløpet in March. Follow our blog to be the first to hear our news and read exclusive stories of life in the kennel!